Auto Ship & Earn + 204 Points What's this? 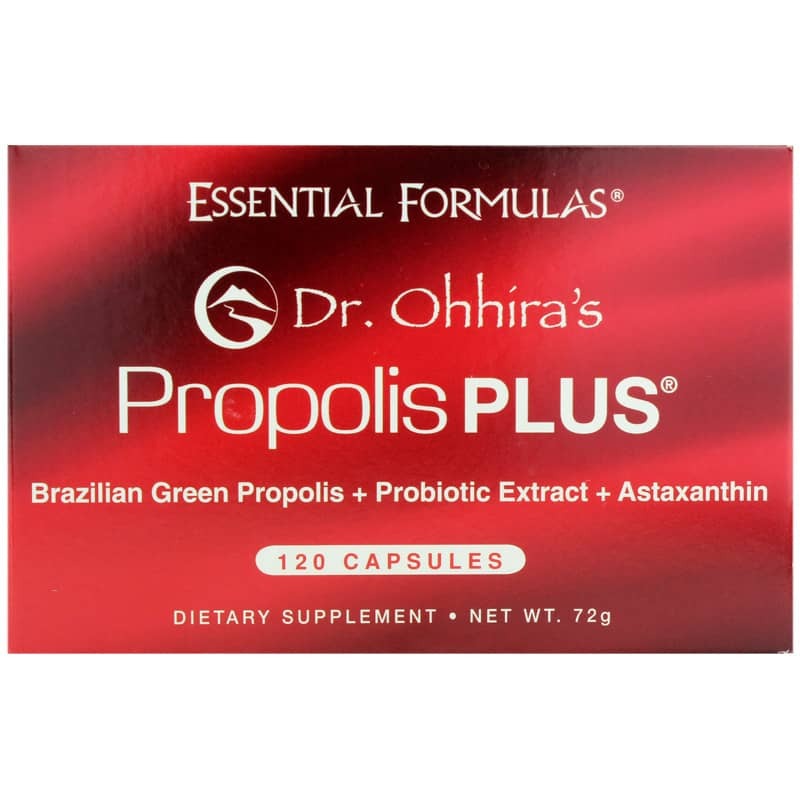 Dr. Ohhira's Propolis PLUS from Essential formula combines a superior Brazilian green propolis with astaxanthin, additional antioxidants and Omega-3 essential fatty acids in a blend that supports whole health, digestion, immune response, and healthy nervous system function. Honeybees create propolis as a flavonoid-rich, antioxidant and antibacterial substance to coat and seal the interior of their hives. Derived from plant and tree resins, propolis protects the hive from invasion by bad bacteria, mold, and other pathogens. Humans can benefit from propolis by consuming it as a dietary supplement. Other Ingredients: Capsule (tapioca processed from Manihot esculenta root, glycerin [palm, coconut], and carrageenan [red algae]). Contains: Beeswax, glycerin fatty ester. **Contains fermented soy. Soybeans used in long-term fermentation are predigested and structurally modified to reduce or eliminate immunoreactivity to soy. Contains NO: milk, egg, fish, crustacean shellfish, tree nuts, wheat, gluten, peanuts. 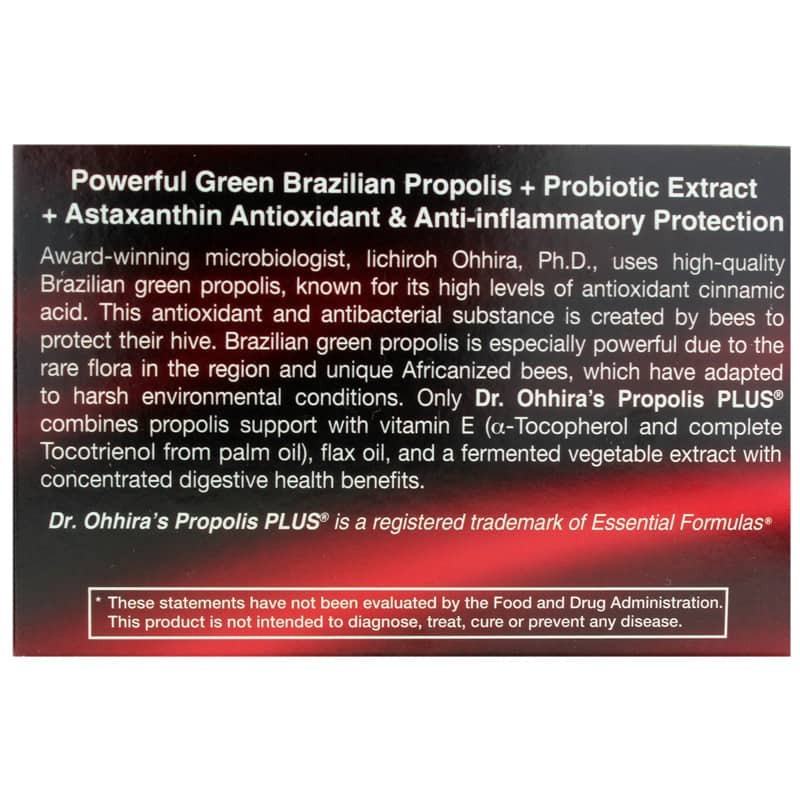 ***Nutritional value may vary due to the natural variation of the propolis used in different batches. 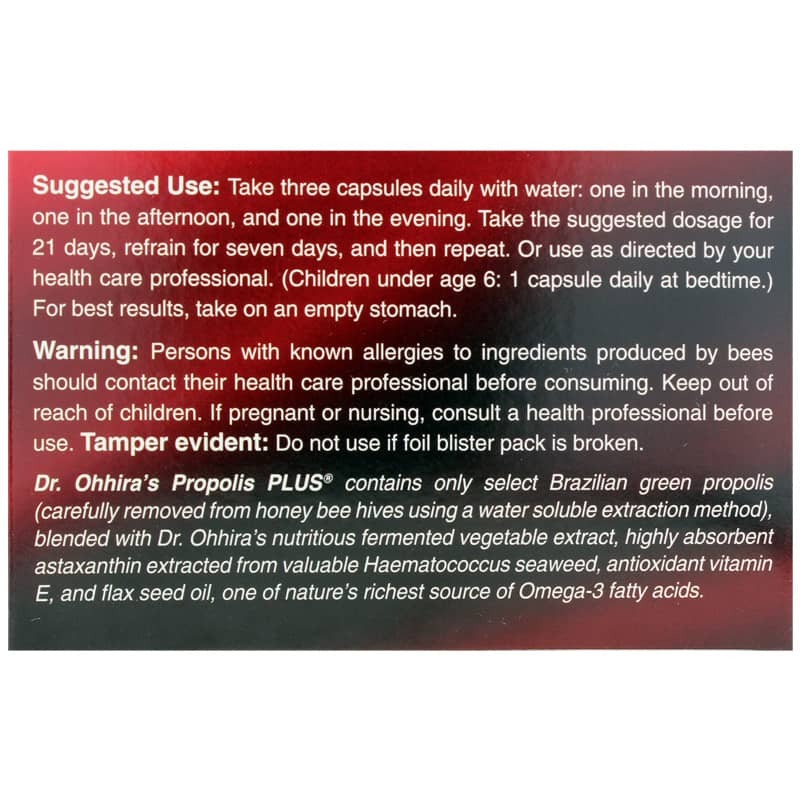 Adults: Take 3 capsules daily with water: one in the morning, one in the afternoon and one in the evening. Take the suggested dosage for 21 days, refrain for 7 days, and then repeat. Or use as directed by your healthcare professional. For best results, take on an empty stomach. 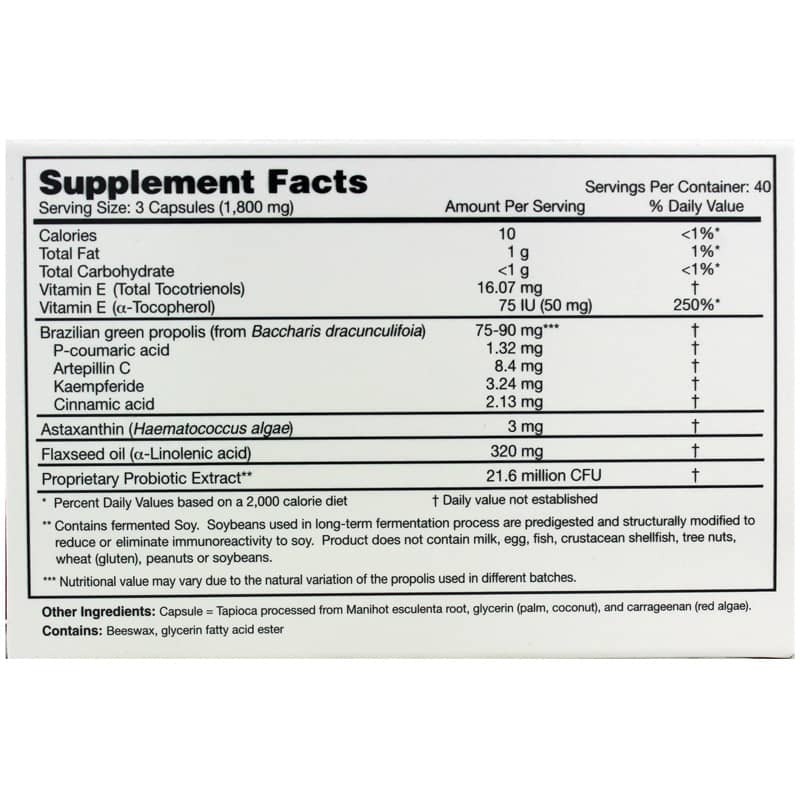 Children under age 6: 1 capsule daily at bedtime. Persons with known allergies to ingredients produced by bees should contact their healthcare professional before consuming. If you are pregnant or nursing, please consult your healthcare professional before using this product. Keep out of the reach of children.